He is a qualified mountain guide. For more than 12 years he has worked on mountain galliform birds, capercaillie, rock ptarmigan, and grey partridge in the Andorran, French and Spanish Pyrenees. Capture, marking, follow-up, census are some of the tasks he carried out on the birds. But he also realised several interventions on other mountain species, such as the wildcat, marten, mouflon, black woodpecker, Tengmalm owl, bearded vulture, Bonelli eagle. Expert in trapping, he is good at finding the best hide for experienced photographers. Travelling with him will give you the opportunity to get information of interest about landscape evolution, botany and even old occupations. At Granada University he graduated as a technician in rehabilitation and manipulation of fauna. He worked for a few rescue centres’ with autochthon species. 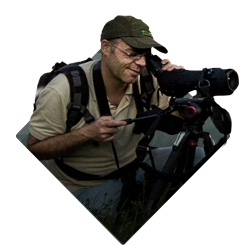 He does collaborate with SEOP wildlife (Spanish Ornithological Society) and ICO (Catalan Ornithological Institute). He also does the follow-up of the nests, ringing campaigns and migration checks. 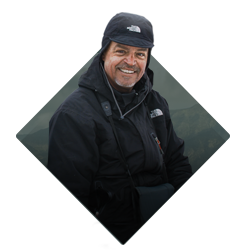 Edgar is a specialised photographer in Iberian fauna, a shrewd ornithologist as well as a perfect guide to help you watch the birds of the steppes and of the Mediterranean moors as well as migratory birds. Often rewarded for the quality of his shots, he also made specific documentaries for several companies and administrations. Man of action, Juanjo is capable to take you on any kind of ground to do many types of activities. 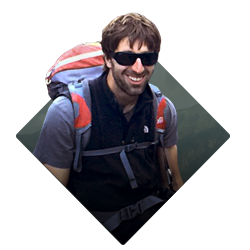 Qualified mountain guide, guide of via ferrata and kayak, skiing instructor: he has all it’s needed to take you any season of the year. 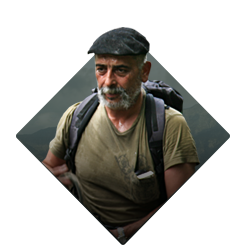 Jordi is a vet at Zaragoza university and a specialist in ethologie of mountain fauna. His experience in this field is wide, as he is still the vet who assists the specialists during the capture campaigns for local or governmental administrations. His skilled hands have at some time taken care of marmots, martens, izards, mouflons, raptors, roes and birds of any size. 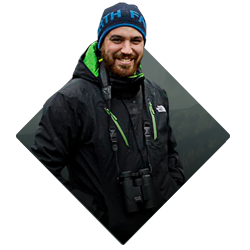 Jordi has a passion for both ornithology and photography so it’s the reason why demanding birdwatchers should try to go out with him! Pirenalia is a company which deals, with the discovery of the animal world as the same time as it does research on wildlife. The Capercaillie, the rock ptarmigan, the black woodpecker, Tengmalm’s owl, the Izard, the bighorn sheep, the bearded vulture, the Iberian ibex and the European wildcat are the most emblematic species studied by our specialists. These specialists offer you, through organized trips, the possibility of discovering wild and rarely visited places where numerous species can still be found in a preserved habitat. Our wildlife trips destinations depend on the different seasons. Reproductions, winter migrations, are the factors to take into account and to guarantee a successful experience, as regard to the quantity of species and the success of your observations. Ornithologists, naturalists or simple adventurers be aware; our trips have been specially created for you! We have patiently looked for the best places to observe the species we are interested in and as all our guides are specialists, they will be able to give you all the information required about animals and their environment. On the other hand, we also offer you special outings of 2, 3 or 4 days to allow you to observe a specific species; these outings are expressly designed for photographers, but everybody is welcome! A photographer, most of our team is dedicated to this art or passion and we are very aware of your expectations and what you are looking for! We do not subcontract: we personally guide all our clients during our trips. We work only with small groups: groups between 4 and 12 people are the best size, not only so our clients can enjoy a good service but also to guarantee the respect of the habitat and of the wild species..
We only do what we know: although our product range is not very wide, our specialized sector should give you satisfaction. Although it is obvious that the aim of our trips is to watch specific animals, we also think that it is important to discover the culture of the region visited; as animal watching is likely to be done only during very specific hours, we will have plenty of time to enjoy the art, architecture, history, archeology or even local specialized workers..
As regards to accommodation during these discovery-trips, we particularly look for distinguished places situated in attractive sites. So each country house, inn or hotel has been chosen because of its natural and authentic spirit. In the same way gastronomy is one of the most important factors of the expeditions we offer. The restaurants where you will have the opportunity to taste local cuisine, traditional old dishes, always accompanied with good wine, are specially selected! Before inviting you to enjoy our programmes, we would like to insist on the fact that respect and protection of the environment are a priority as well as a code of behaviour for all the members of Pirenalia. Nowadays because of too much technology and too many people there is a high risk of damaging the animals, the environment. One of our main aims is looking after the environment and also making your excursions as enjoyable as possible.